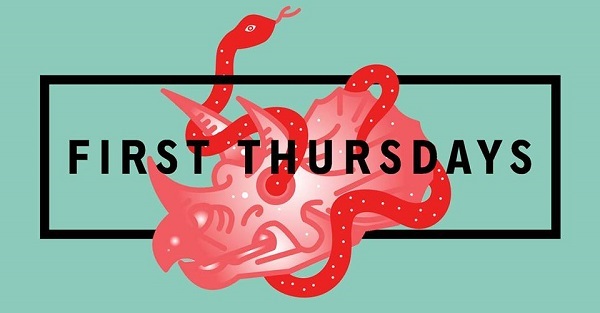 Ready for the final First Thursday of 2018? The December edition promises a host of new exhibitions, parties, drinks and good times! Check out the JHBLive guide below. 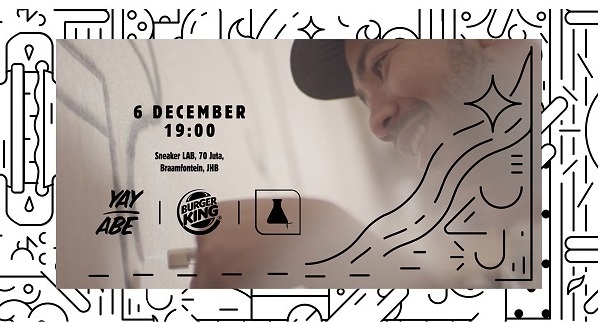 Cape Town-based illustrator and street artist Russell Abrahams aka Yay Abe will be at Sneaker Lab this First Thursday to celebrate the launch of his Burger King collab. There are a few exciting things to look forward to including drinks, music from DJ Khanya, sneaker cleaning, as well as BIG KING™ sandwiches which will be delivered throughout the evening. Space is limited so get there early! 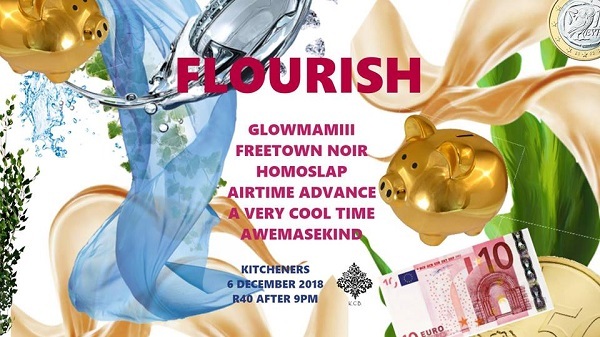 It’s the final FLOURISH of the year! Head through to KCB and indulge in some Dance Floor Lust to peripheral sounds as you welcome in the Summer & celebrate all your achievements. Entrance is free before 9pm and R40 after. Having opened its doors earlier this year, it’s been an eventful year for the good folk over at 99 Juta. Head through to their end-of-year party to celebrate the close of 2018 with them. Entrance is free and there’ll be popcorn and a cash bar. Ground Floor // Schilling Ceramics will be showcasing their new range in the gallery. Be sure to bring $$$, these ceramics make excellent xmas gifts! First Floor // Stop by Joe Paine Studio’s lush showroom and check out Dokter and Misses’Insta-worthy balcony. Better Half & Friends are the new kids on our block featuring the best of Cape Town design - make sure to pay them a visit. Second Floor // Don’t miss Houtlander – the experts in all things timber. You can now also find Xavier Clarisses’s stunning lights here. Their neighbours, Apartment2B, is a must visit featuring the latest and greatest from Mash.T design studio, Monique Vee and TheUrbanative. Keep an eye out for Vorster & Braye Ceramic Design and The Collection Studio here as well. The works of Elizaveta Rukavishnikova made for Code Request, transport the viewer into a world beyond the present. They are at once charming, perplexing and very idiosyncratic. Incorporating texts as a means to narrate an image (some texts intelligible through recognizable letter types and others less so through languages and pictograms that we as viewers do not know but can somehow instinctively feel), she weaves tapestries of images that are bold, innovative and incredibly fresh. 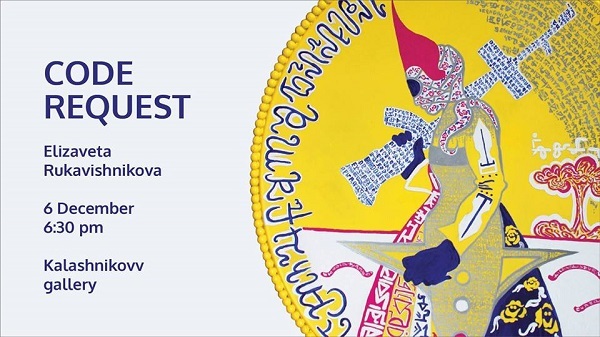 There are references to popular culture and contemporary social images that appear alongside almost historical references from her native Russian culture, pop art-like images as would be found in comic books around space travel and fantastic worlds. Check out our pre-show QnA with Rukavishnikova here. SEE ART: Contemporary Drawing, will be displayed in a salon-style. The salon-style of displaying artworks originated in the 1700s when artists were given an opportunity to hang their work in a public venue. The works are displayed close together, floor to ceiling and in a non-linear fashion. During the exhibition period, viewers will be able to buy artwork and take it with them when they leave the gallery. The overarching aim of SEE ART: Contemporary Drawing is to challenge established traditions of artistic practice. 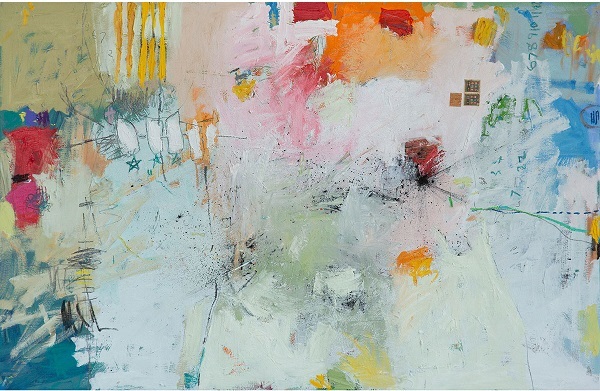 The exhibition will not represent a stylistically coherent body of work, but rather a variety in modes of mark-making, where artists redefine materials and conceptual conditions of mark-making. Abe Mathabe, Alex Hamilton, Audrey Anderson, Bevan de Wet, Carl Jeppe, Collin Cole, David Paton, Diane Victor, Dina Kroon, Eric Duplan , Gideon Appah, Gordon Froud, Helena Hugo, Hermann Niebuhr, Ivy Grobler, Izanne Wiid, Kyra Papé, Leanne Olivier, Lehlogonolo Mashaba, Linda Hess, Linda Rademan, Lothar Böttcher, Mandy Coppes-Martin, Marcus Neustetter, Maria Lebedeva, Marianna Keyser, Nhlanhla Nhlapo, Nico Ras, Nicolas Durocher-Yvon, Paul Mantzios, Pauline Gutter, Ramarutha Makoba, Rosemary Joynt, Themba Khumalo, Setlamorago Mashilo, Verna du Toit, Wayne Matthews, Wessel van Huyssteen. As part of Goodman Gallery's on-going South-South curatorial initiative, acclaimed Brazilian artist Ernesto Neto presents One day we were all fish and the earth’s belly, his first solo exhibition on the African continent. 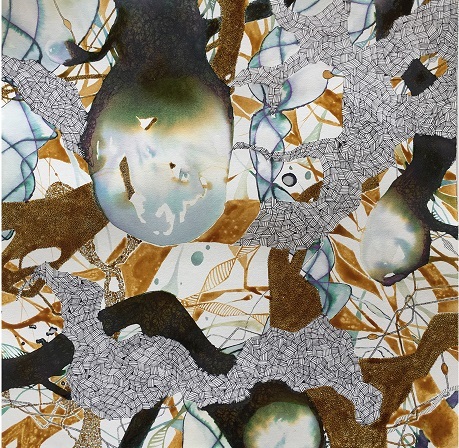 Arriving at a time of great political and environmental turbulence across the globe, Neto’s exhibition offers a grounding perspective on the nature of life and the value we should attach to its miraculous occurrence. The installation-based show is not to be missed! If you haven’t had a chance to view Zolile Phetshane’s Simplified Complexity, this might be your last chance to do so. The show is a continuation of Phetshane’s exploration of numbers and the structural role they play in contemporary society. The artist takes the view that numbers provide a narrative of who we are; our age, the amount of money we have or the number of siblings in our family. The way we spend our time is structure around numbers. In a sense, numbers become a reflection of one’s identity and place in society. As an example, an identification number can be used to unveil one’s age, gender and citizenship. In Simplified Complexity, Phetshane engages with the symbolism of numbers and integrates this with the cycle of life, as numbers become a measuring tool through which we count the happenings in life. It’s a party in a library! Libraries have too long lived their lives being stereotyped as quiet, boring places. The Goethe-Institut Johannesburg is here to change that! 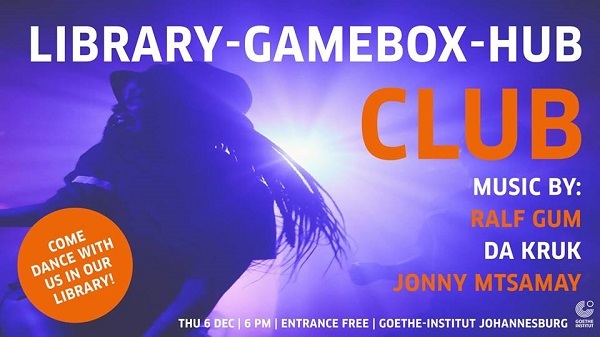 Join for a party in the library, as they celebrate the amazing space that is the Library-Gamebox-Hub – a place filled with possibilities for fun and learning! Great music will be provided from German and South African DJs alike, as Ralf GUM, Germany’s hottest Soulful house export, shares the decks with the extraordinary DJs DA KRUK (YFM) and Jonny Mtsamay (Sgubhu - Afro House in Köln). Entrance free, complimentary drinks and snacks will be served.